Build your category and your company. BRIIA gives early-stage entrepreneurs the resources to start and grow companies that are fueled by machine learning, artificial intelligence, natural language processing and related technologies. We provide the resources, tools, experts and networks so you can focus on changing the world! The Spring 2019 Accelerator Program is now in session. Applications for our Fall 2109 Accelerator Program will open in June and will start the last week of August. Sign up to be notified. BRIIA's 12-sprint, tailored program propels AI-powered, early stage startups from "prototype to fundability". We intensely focus on three main areas – designing a category, acquiring customers and acquiring investors. Our goal is to have companies that complete our program be ready for conversations with investors for their first significant round of capital. Mentors - A cornerstone of the BRIIA Accelerator Program is its strong Mentor Network. BRIIA Mentors are carefully selected for their unique ability to work with founders at early stage companies. These are experienced entrepreneurs, domain experts, and coaches. They've been there, done that and are keen to help entrepreneurs in the Accelerator Program succeed. You'll find them to be world-class people too! Investor Day - rounding out the 12‑week program, Investor Day provides companies the opportunity to show off their progress to investors and community members, and launch into their next stage of success. 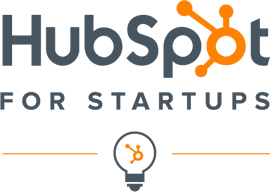 Startup perks - as a participant in the Accelerator Program, you'll have access to more than $500,000 in perks, including credits to AWS, Google Cloud, IBM Cloud, Microsoft Bizspark, Sendgrid and more. Need more details? - See our Accelerator FAQs. Check out the companies that have already completed our Accelerator Program here and see what they had to say about their experience at BRIIA. BRIIA is honored to be a member of the Global Accelerator Network (GAN). 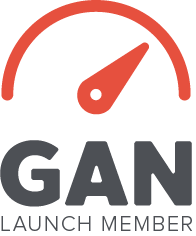 This means that our Accelerator Program meets GAN's strict criteria for serving entrepreneurs. It also means that startups accepted into our Accelerator Program can access a global network of mentors, investors, corporate partners, and startup peers. Our worldclass resource partners get your company up and running fast. Applications are currently closed, but if you sign up for our mailing list, we'll make sure to keep you up to date on application due dates and more. Applications for our next cohort will open in June 2019 and the Program will start August 26 2019.